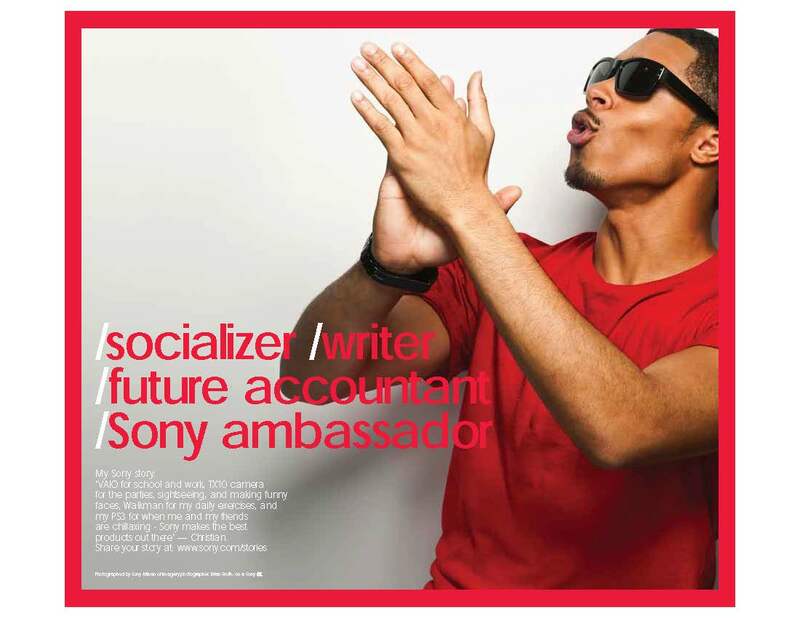 Overview: Sony Student Ambassadors were selected to participate in a photo shoot; creative was featured on graphics in the Sony Direct Retail Stores across the US in the Fall of 2011 as part of the “Smile” campaign. Channels: Sony Direct Retail Stores in the US (~25). Project Role: As the Program Manager for the Sony Student Ambassadors, I helped to create the selection criteria and interview process which narrowed down 100 students to the final five that were chosen to be featured in the campaign to best reflect the Sony brand. 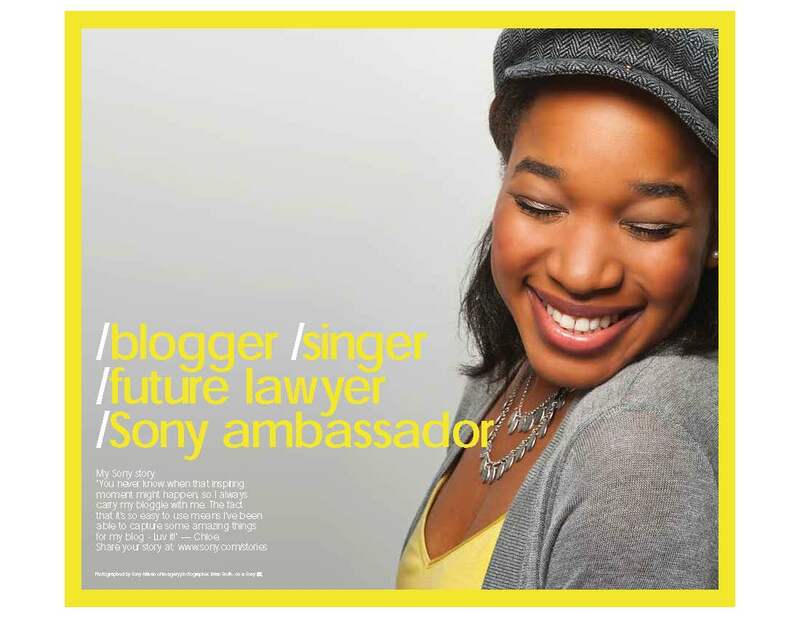 Results: after a successful photo shoot, the Student Ambassador profiles were featured in large graphics and signage inside the Sony Direct Retail Stores, including graphic “fin” walls, department POP, and large format window signs.